WALDIS Safes – Complete security. Guaranteed! 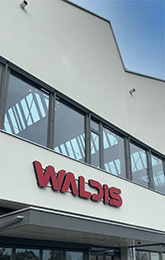 May we invite you to a virtual tour of our WALDIS showroom and our factory in Rümlang? Visit us virtually on our new 360 ° tour through our WALDIS showroom and our factory in Rümlang near Zurich. For more than 30 years, we have been developing and producing burglar-proof safes of the highest quality. Made in Switzerland. With a unique burglary warranty of up to 30 years. are produced and certified according to EN-1143-1 standard. Don’t be fooled; proper security is not something that is visible. All Waldis safes are products that are developed and manufactured in-house with the highest level of burglary resistance in their class. The provision of well over 20,000 safes and more than 30 years’ experience mean we have unique expertise when it comes to producing safes. * The values specified are average values from insurance companies. The insurance companies are free in principle to conduct their risk assessment. When maximum security of valuables is required, combined with lightweight construction, WALDIS relies on Varrit safes. 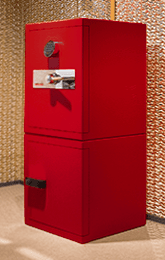 Certified safes with revolutionary lightweight construction. Alarm control, intrusion alarm, time out programme, etc.